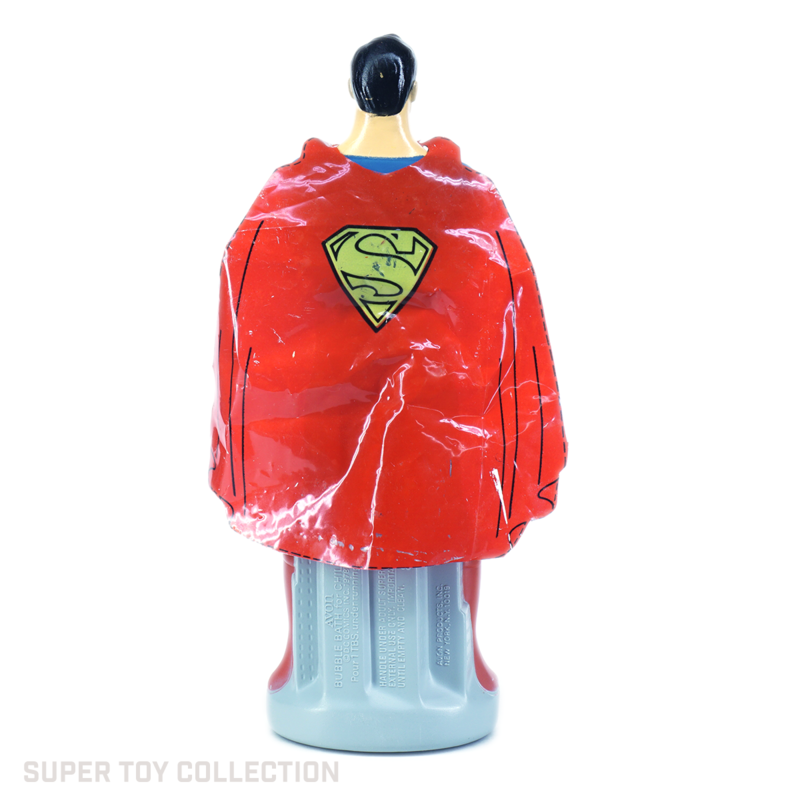 This figural plastic bottle is in the shape of Superman wearing a thin plastic cape. Avon produced several super hero items in the 70’s, including a Superman hairbrush and some Wonder Woman items. The bottle unscrews at the figure’s waist. This bottle was originally sold in a cardboard box with colorful graphics. 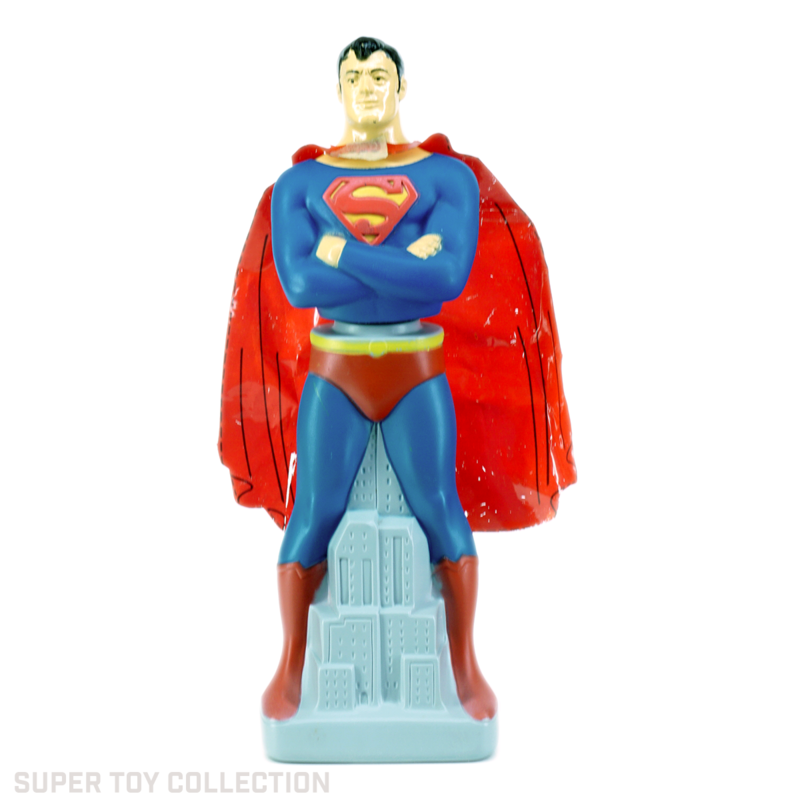 1978 Original Avon Superman Bubble Bath 8 Fl. Oz. MIB w/Cape. Never used. Full. Unused 1978 SUPERMAN Avon Soap 9 1/2" Bubble Bath Bottle with Cape in Box RARE!